Scouting Scout: Kayleb Lassche | Scout Inc.
A recent graduate of the University of Minnesota, Kayleb Lassche joined Scout Incorporated’s sales team in May 2011. Don’t be afraid to pick up that phone and give Kayleb a call at 651-917-8705 to learn directly from Kayleb about Scout’s topShelf inventory management software. 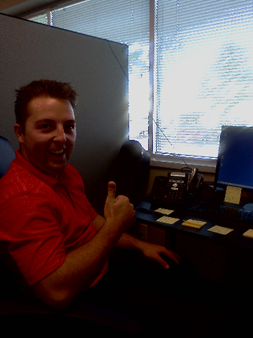 A recent graduate of the University of Minnesota, Kayleb Lassche joined Scout Incorporated’s sales team in May 2011. Kayleb’s focus has been primarily on the medical industry.